Time passes so fast these days. I feel as if I had the New Year’s day of this year just several days ago… I couldn’t do anything special this year, so I’ll do it in 2007. The first thing I want to do is to visit Hawaii for free because I have over 40,000 miles in Northwest Airlines’ frequent flyer program. Nokia Japan announced today that Nokia E61 Japanese version will be released within this year, in several weeks. 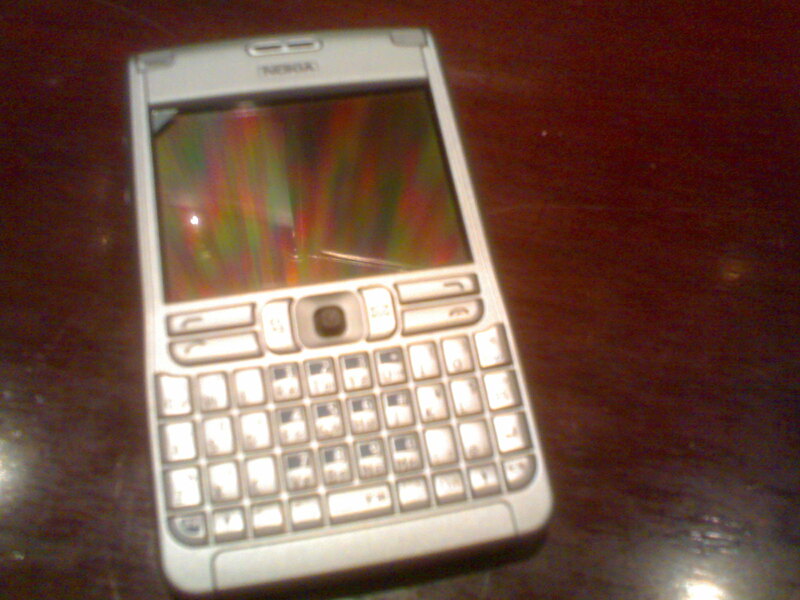 Nokia E61 is a smartphone with a full keyboard like a Blackberry. It’s Nokia’s second smartphone released in Japan. Unlike most Japanese cell phones, it is open to every SIM card (only a designated SIM card is available in most Japanese cell phones) so you can use NTT DoCoMo, Softbank or any other cell phone carrier in the world with the E61. Besides cell phone services, a WiFi antenna is also installed in it, and you can enjoy high-speed data transmission service as well at every hotspot. It will cost 54,800 JPY (57,540 JPY with consumption tax) at Japan’s Nokia stores or online. I miss it. I signed up a FON account today. I happened to know about FON over this morning’s TV program and Nikkei newspaper, where FON let its service begin in Japan. According to the article of the newspaper, FON is a Spain-based WiFi service provider featuring wireless networking service with a user id it assigns to each user, or FONERO, for lower costs than other commercial WiFi services. FONEROs can enjoy WiFi service free of charge, if they buy a specific wireless router, or LA FONERA, from FON and set it up at their house to let them and other people use the service for free. If you have Linksys’s wireless router like WRT50GS, FON provides special firmware that enables the wireless router to change into LA FONERA by installing it without buying any LA FONERA devices. Of course, you can use WiFi service anywhere in the world with your FON id and password as long as there’s any LA FONERA close to you. FON is affiliated by Google and Skype. I visited FON’s website and set up my account this morning. FON’s Japanese website announced that LA FONERA is sent to any FONERO free of charge if you apply for the account at that time. I downloaded the firmware for WRT50GS instead of requesting LA FONERA because I have it in my house. I opened WRT50GS’ administration page and installed the firmware. When the installation was completed and the router restarted, the graphical user interface of the router’s setup page was dynamically changed. Its network address was changed into 192.168.10.0/24 and WEP encryption configuration was disabled for make this router open to every other FONERO around me. I give my bandwidth to others for free, but I have the right to have other bandwidth from another FONERO living anywhere in the world without paying a penny. Now I’m not sure if this service becomes useful or not, but it’s worth trying.